If she hadn’t known better, Meghan Bullock ’20, then a first-year medical student at the Geisel School of Medicine, might have thought the opportunity had been created just for her. Adams referred Bullock to Linda Kennedy, MEd, associate director for strategic planning and global oncology at Dartmouth’s Norris Cotton Cancer Center, who for many years has been helping to lead community-building activities and cancer research and prevention programs in Honduras. As it turned out, Kennedy’s colleague Kathy Lyons, ScD, needed help with a palliative care research project she was helping to lead. It’s goal was to test whether having nurses at a cancer hospital in San Pedro Sula make weekly telephone calls to chemotherapy patients would help them better manage their symptoms. With Bullock’s background and experience—which included fluency in Spanish, being an oncology nurse before coming to medical school, and having already worked in the city of San Pedro Sula for a year as a volunteer in an HIV/AIDS clinic—she turned out to be “the last piece in the puzzle, effectively making Kathy’s project run much smoother,” says Kennedy. Bullock worked with Lyons, a psycho-oncology researcher at the Cancer Center, to develop the materials and a mechanism for tracking results. 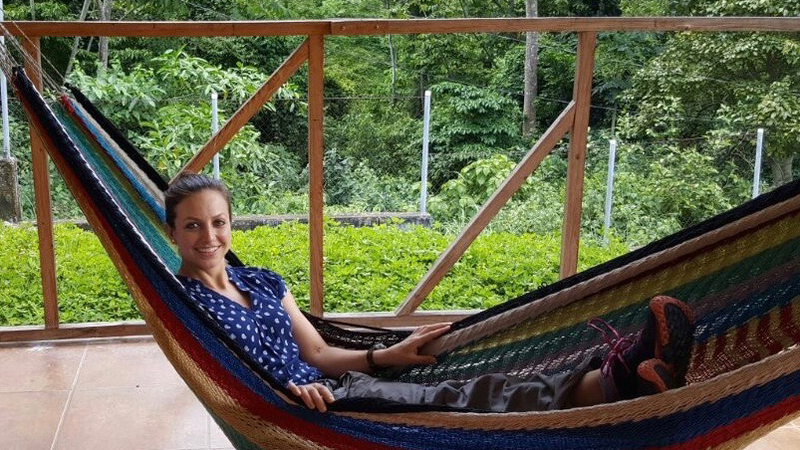 She then spent six weeks implementing the project in Honduras, staying with a family she’d grown close to while previously living in the country. Kennedy and Lyons say Bullock’s dedicated involvement was crucial to the project’s success. “I really enjoyed working with the physicians and nurses down there and learning more about oncology in another country,” says Bullock. “And it was great to be part of such an important project—palliative care is something that’s very limited in Honduras, and many patients have to travel long distances to receive care. “It was also wonderful to reconnect with old friends; I feel like I have family there,” adds Bullock, whose special connection to the country has played a pivotal role in her path to medicine. Growing up, Bullock’s own family moved often—from Minnesota to Kansas to Oregon, and finally to Arizona—due to her father’s work as an Episcopal priest. Her strong interests in Spanish and health care began early, influenced by encouragement at school and at home (her mother was a nurse and a nurse practitioner). Bullock graduated with a BA in public health from Johns Hopkins University in 2005. While there, she volunteered at health clinics in Baltimore and Madrid, Spain, where she spent a semester abroad, and also competed as a varsity distance swimmer for four years (sharing the same practice pool with Olympian Michael Phelps). After she graduated, Bullock searched for her vocation in a variety of health care settings. She worked in the inpatient psychiatry unit at Phoenix Children’s Hospital as a behavioral health and case manager technician, in a physical therapy clinic, and in the (aforementioned) HIV/AIDS clinics in Honduras. 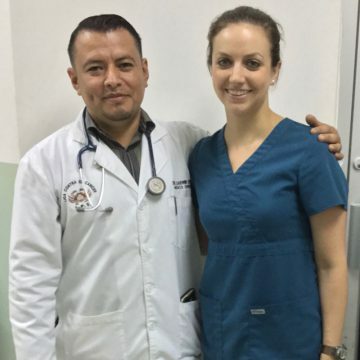 “Inspired by my experience in Honduras, I decided to enroll in nursing school,” says Bullock, who graduated as a registered nurse from the University of Arizona in 2010. For several years, she worked on the inpatient hematology/oncology bone marrow transplant unit at the University of Arizona Medical Center, before moving to an oncology infusion clinic in Tucson to gain outpatient experience. She also continued to go back to Honduras as a volunteer interpreter and nurse on medical mission trips. As a second-year student at Geisel, Bullock is balancing her busy academic schedule with activities outside the classroom such as serving as a team member of the medical school’s Migrant Health Project—which provides comprehensive medical care to migrant farm workers in the area’s dairy and agricultural businesses—and swimming for a local masters swim team at the Upper Valley Aquatic Club. Dartmouth’s close-knit community, supportive learning environment, and ample global health opportunities were key factors in Bullock choosing Geisel. “When I started last year, I had been out of school for a while and struggled with some of the difficult science classes,” she says. “But I really felt supported here by the faculty, staff, and my classmates. And I’ve made some really good friendships.